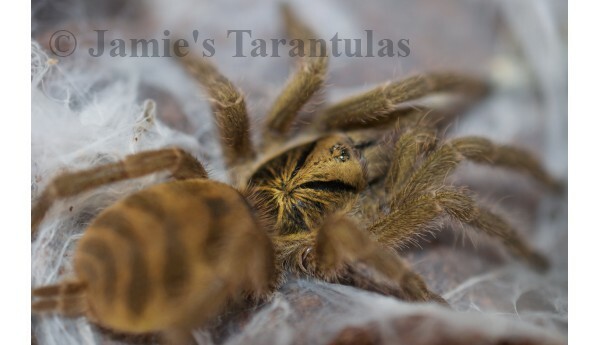 Jamie’s Tarantulas strives to offer the best animals, products and service. We want only happy customers! Please read our shipping and live arrival guarantee and care tips pages before ordering and don’t hesitate to contact us if you have any questions. 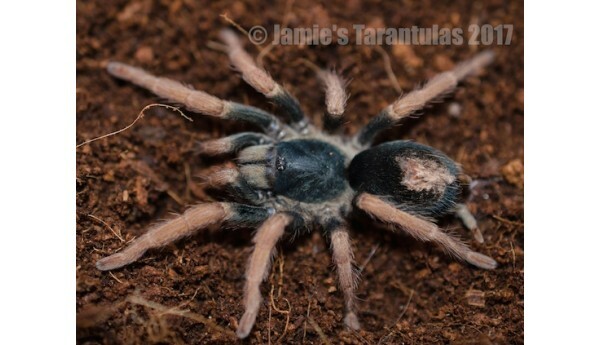 All confirmed female tarantulas currently available for purchase are listed here. 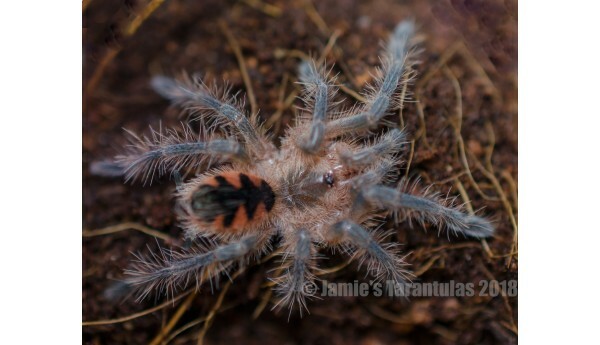 This stunning Mexican species is rarely available in the hobby. Adults have a metallic-peach carapac..
Express shipping only - we will only ship J-13 via express shipping. J-13 is currently f.. 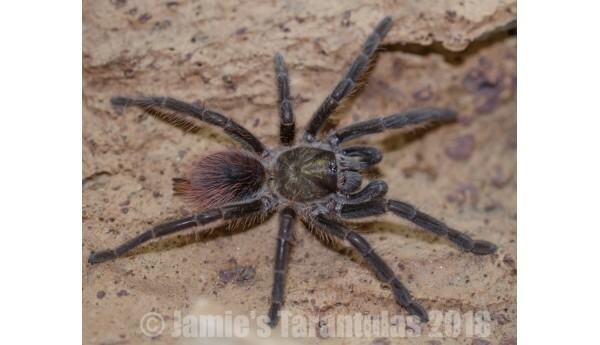 This shy, dwarf species could make a good beginner tarantula for an attentive, hands-off keeper conf.. Formerly Holothele incei, Neoholothele incei also known as the Trinidad olive. 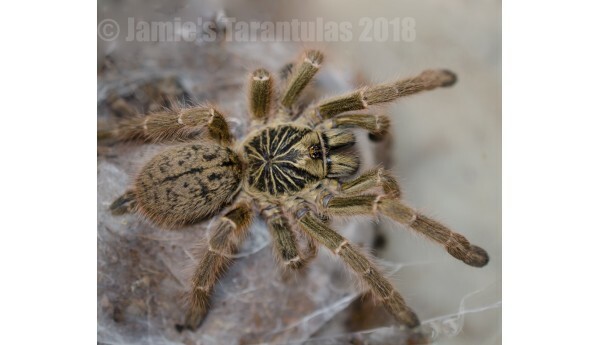 Adults have a wonderf..
Pamphobeteus sp. 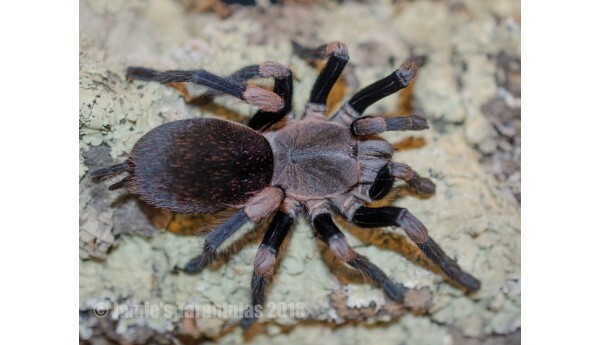 Machala goes though some remarkable and fascinating color transformations as they g..
Phormictopus auratus is also known as the Cuban Bronze Tarantula. A aggressive eater they will rarel.. 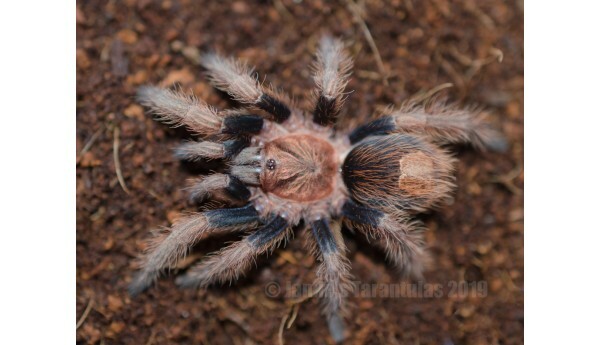 Currently feeding on medium B. lateralis roaches. 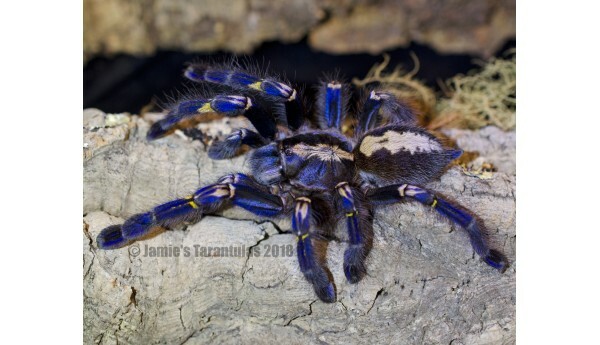 Recommended enclosure 7x7x14 or 8x8x14" Adult..
Poecilotheria metallica is also known as the Gooty sapphire ornamental. This extraordinary species f..
Rare! TCF female! 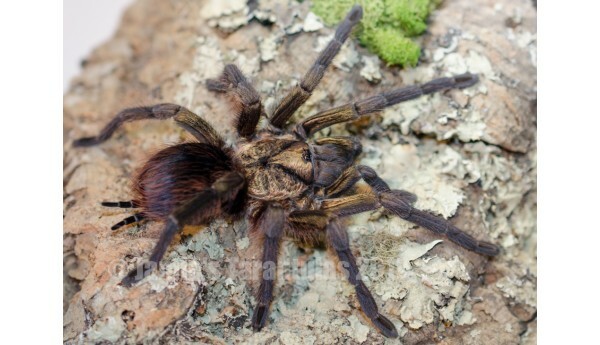 The Baboon Tarantula or "TCF" is a fierce Old-world known for it's comically bad a..